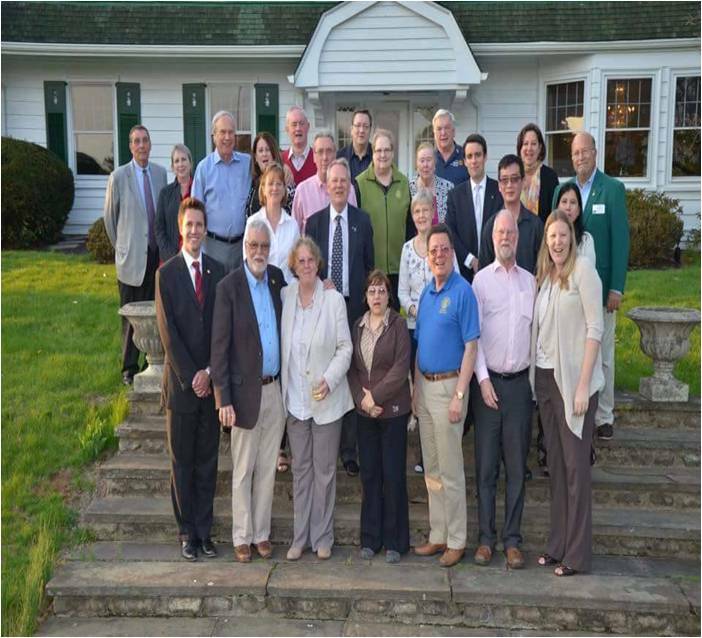 The Rotary Club of Saucon, Center Valley had a busy year! Below are some of the accomplishments made possible by the members. Implemented of our Strategic Plan using a committee structure to get the work completed. Changed from a buffet breakfast where we experienced an abundance of “leftover” food to going through the cafeteria line. Members can select what they want and have fresh food with no waste. Approval received from the IRS for a Club Foundation with 501 (c) 3 status. This will assist us with donations and planning for our future. 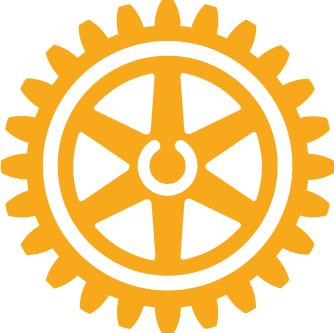 Implemented Club Runner software as the major mechanism for club communication through a website, weekly newsletter, and event registration capabilities. 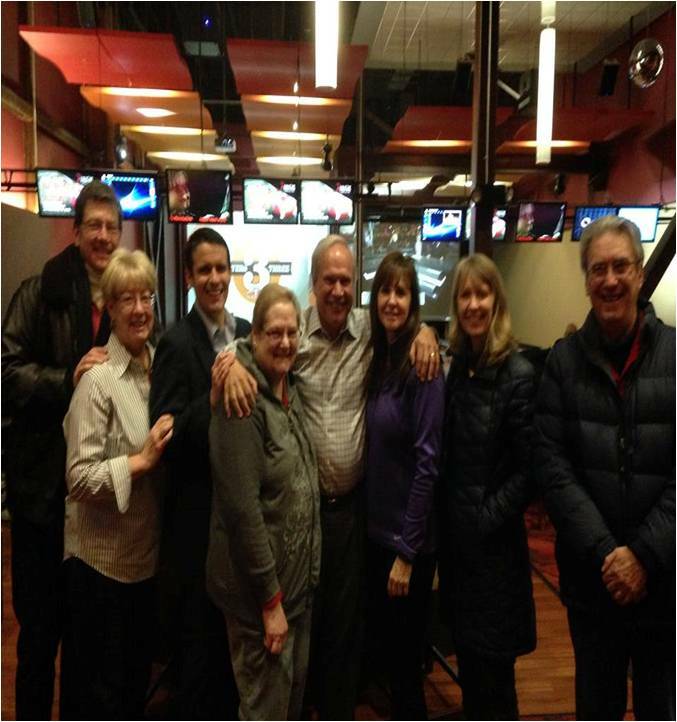 Hosted a Rotary Friendship Exchange Group from British Colombia, CA and Whales. 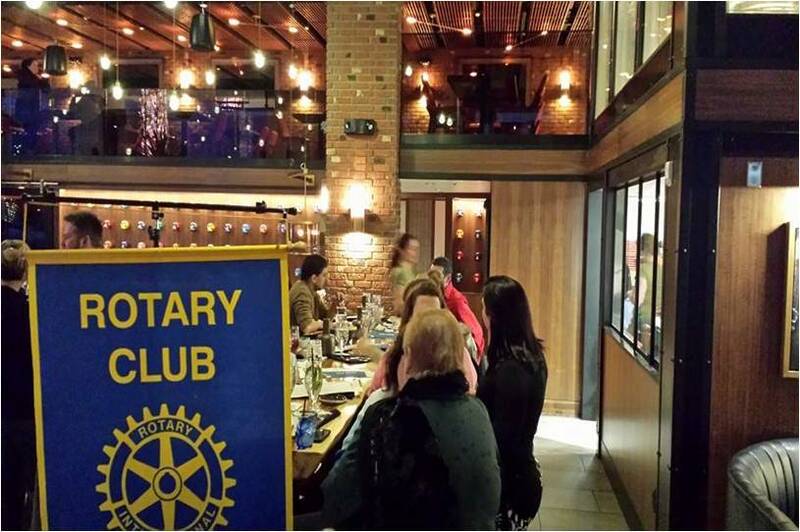 Expanded our community presence by using FaceBook and Twitter to let people know what is going on in the club. 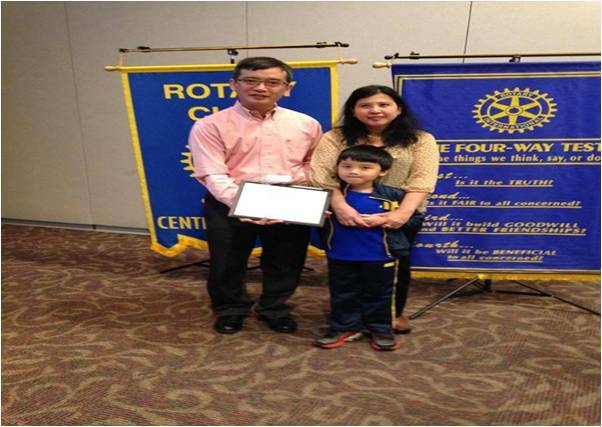 Did a segment on The PEAK TV that showcased Rotary and our Book Fairy Project. 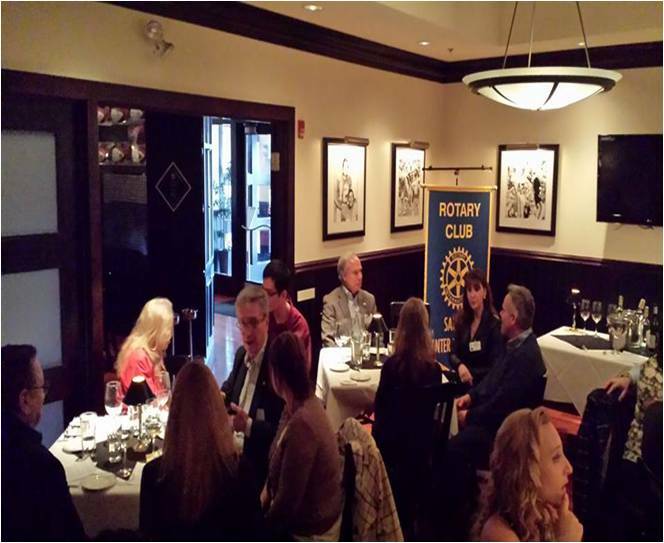 Hosted a Foundation Recognition Event at The Hotel Bethlehem for donors to the Rotary Foundation. 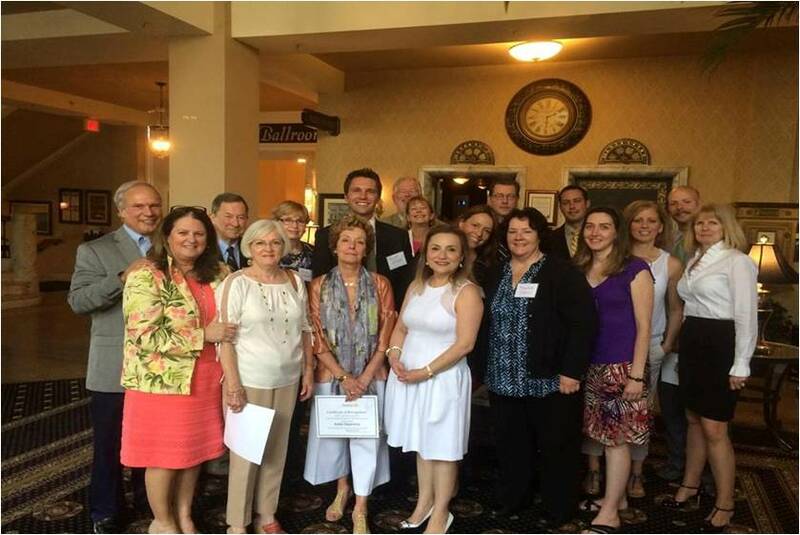 Recognized 2 Major Donors, 1 Bequest Society Member, and 1 new Paul Harris Fellow. 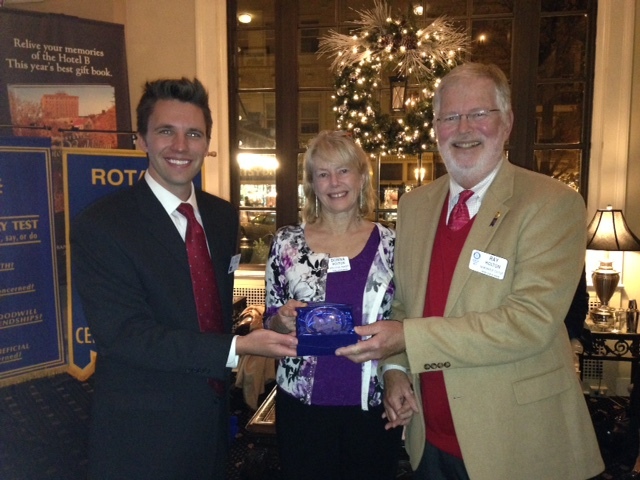 President, George Morrison presents Plaque and Pins to Donna and Ray Holton as Rotary Foundation Major Donors. Over $10,000 in contributions/giving in Year 1. 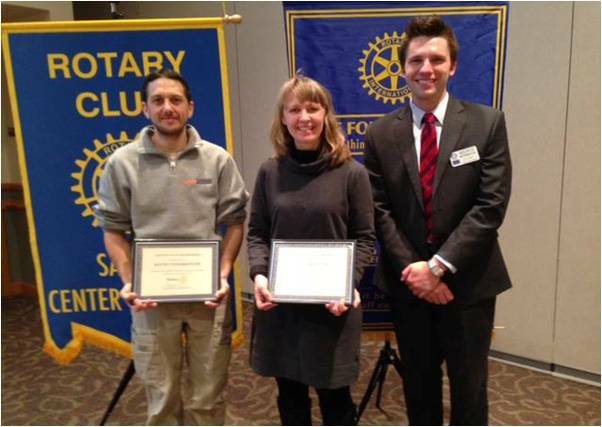 We began the year with 25 members and welcomed 3 new members to our club – Linda Mayger, Keith Underkofler and Soemoe Aung! Began our 4th year of the Book Fairy Project. The process was streamlined and improved so that all book fairies were able to get to their classrooms before Thanksgiving. Projects for the children to complete were a special addition to the program this year. They made turkeys and identified things and people they were thankful for. Participated in Hellertown Lower Saucon Community Day and Coopersburg Community Day. Participated in toy selection with the Salvation Army. 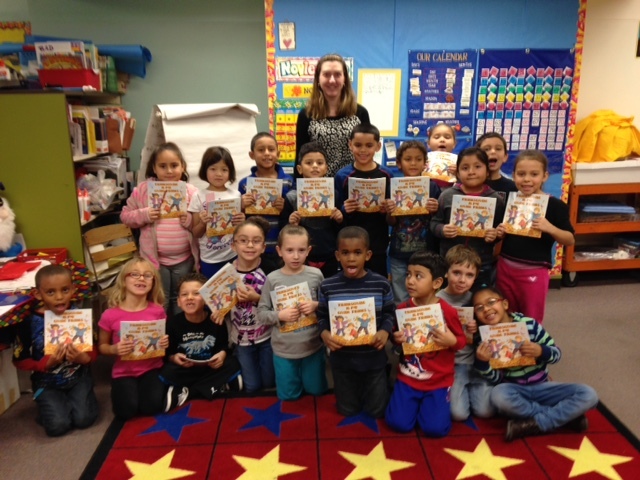 Teacher, Christine Taylor and first grade students at Fountain Hill Elementary School proudly displaying their Thanksgiving Book from the Book Fairy. Held Master’s of the Air Event with author Donald Miller, who signed books at the completion of his presentation. Raised $6000.00 from the event. Raised over $6,000 for the Book Fairy Project, plus $1,500 via our online fundraising campaign. 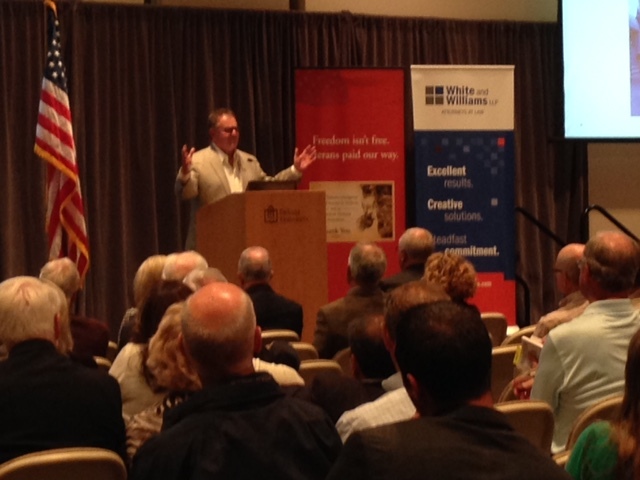 Author, Donald Miller presents stories from his book, "Master's of the Air" to the audience. Had a great time at our Fun @ 5’s visiting different places. We spent time with Aunt Lee and her 2 beautiful poodles, we found out who could bowl at Revolutions, tasted all kinds of Greek delights at Yianni’s, had our annual Christmas Sing-A-Long at The Manor House in December, and hosted a Wine and Food Pairing event at Shula's. Our work is never done and we expect to have another year of productive, service oriented projects. Thanks to all who served and who will continue to serve others!